We saw Nathan Heathcote bringing home the first win of the year in first round on the Crofts Circuit track. However, second round, at Lydden Hill proved to be beset with mechanical glitches for the leader, a broken gearbox in practice forced him to miss Q1, while broken power steering in Q2 brought the end of his event. Instead, we saw previous round’s, third place winner, Ollie O’Donovan, take everyone by surprise by coming first after an intense battle on the track. The question on everyone’s mind now is – will we have a new victor in the third round and if so, who can we expect that to be? When looking at results from the last two races, we can be sure that a very exciting third round awaits. A couple of drivers showed impressive performance in the previous round and successfully secured themselves a stand on the podium. At the current leader’s board, we have a new to the British RX, Team BMR Principal, Warren Scott and Quick Motorsport’s Oliver Bennett, who both took second and third places respectively, and stood alongside winner O’Donovan. All three drivers showed great performance and even after a number of collisions, managed to climb to the top. With the third race set to be taking place at the famous Pembrey circuit on the 25th of June, drivers are wasting no time in preparing for what is bound to be an exhilarating race. 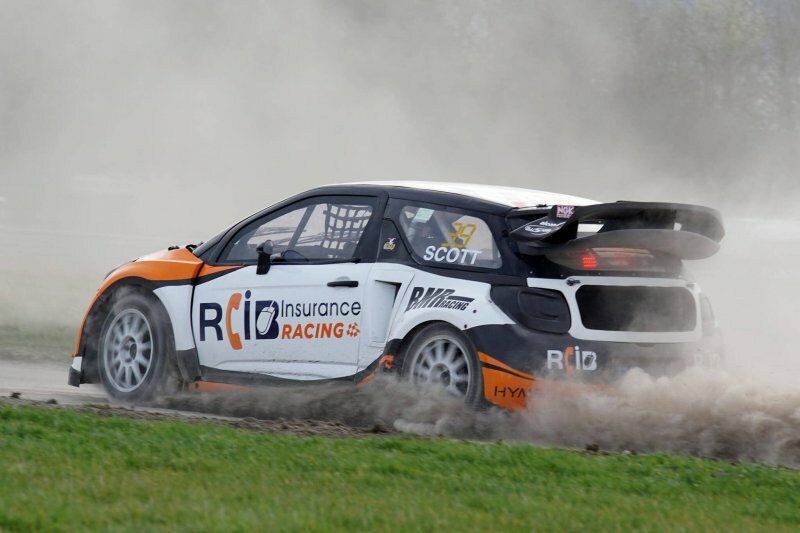 RCIB’s sponsored, Scott is hoping to come back with a fully mended Citroen DS3, which in the second race, endured quite a beating – receiving damage to the rear quite early on, due to first corner contact. Following that, he also experienced some bodywork rubbing on the right-rear tyre, which eventually caused him a puncture. However, determined Scott led until taking his joker on the final lap, returning to the main circuit and finishing the race spectacularly. What a champ! His success in a completely new racing division, has confirmed him to be an adaptable and excellent driver. The past two rounds have been nothing less than thrilling for him. Yes, his car did experience some damage, but it has definitely proved to be worth it, now that he’s up on the leaders board. Next round is promised to be an intense one, Scott will undoubtedly be fighting to keep his title, or in better case – raise it. At the moment Scott is practising as much as possible and will continue to do so right up until the 25th of June – spectators can expect to see a great race!